HDG (Hot Dip Galvanizing) is the process of dipping fabricated steel into a kettle containing molten zinc, preventing corrosion. 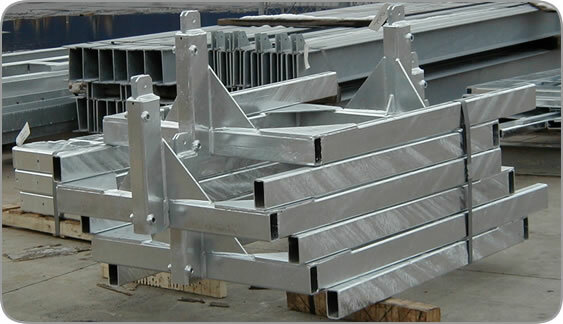 Hot-dip galvanizing is commonly used to protect steel embedded in soil and/or concrete or submerged in water. Galvanizing is the perfect solution for protecting against corrosion offering greater benefits than other coating systems or paint. The process of HDG produces a coating that is bonded metallurgically to the steel resulting in the best resistance to mechanical damage during storage, transport, and erection. With a straightforward process, you’ll experience longevity in some of the harshest environments imaginable.